In July 2017 the European Commission published its Diversity and Inclusion Strategy, with specific measures to improve age, gender, disability and lesbian, gay, bisexual and trans (LGBT) inclusion within its workforce – all of which are important. Despite representations and dialogue with the European Network Against Racism during the development of the strategy, the European Commission did not refer to the vast under-representation of people of colour, including Black and Asian-heritage Europeans, in the 33,000 person organisation and did not include any measures to address this imbalance. 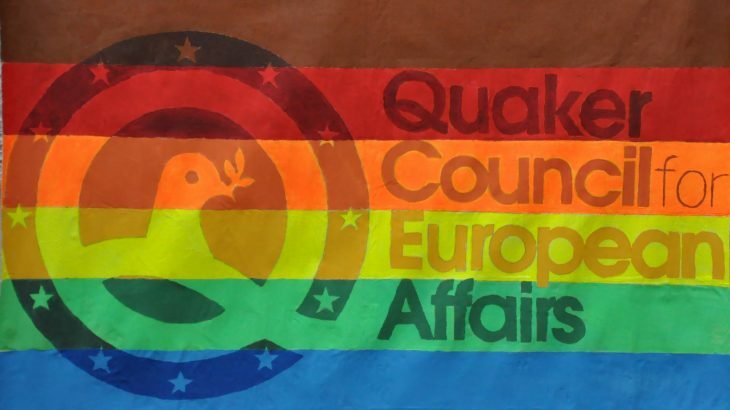 Following a private letter on the same subject, that the Quaker Council for European Affairs (QCEA) wrote to the relevant Commissioner earlier this year, we have this week joined the European Network Against Racism and 27 other organisations in an open letter. We are proud to have signed this, particularly given the support the letter has received from the European networks that represent age, gender, disability and LBGT organisations – that had been included in the strategy. We are all minorities in one or more ways, but by showing solidarity with each other we can build a Europe that promotes the inclusion and dignity of all people. 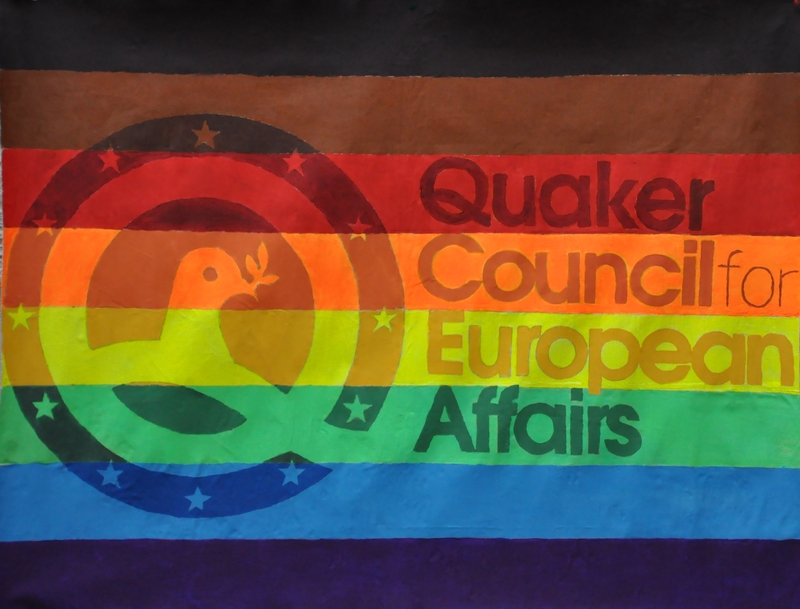 As Quakers we seek to recognise the value of all people, challenging racism and other forms of injustice. We welcome the European Commission’s Diversity and Inclusion Strategy ‘A better workplace for all: from equal opportunities to towards diversity and inclusion’ published on 19th July 2017. It is a significant milestone for the European Commission to acknowledge the importance of promoting a diverse workplace. The concrete measures in this strategy vis-à-vis the inclusion of women, staff with disabilities, LGBTI staff and older staff are promising and demonstrate the European Union’s role as champions of equality and diversity. However, we, the undersigned organisations, are writing to express our deep concern with the decision to exclude staff belonging to racial, ethnic and religious minorities as a specific target group in this strategy and the failure to plan targeted measures to improve racial, ethnic and religious diversity at the European Commission. As organisations we are committed to the notion that equality for some is incomplete without equality for all. Our organisations represent individuals with complex and intersectional identities. We therefore cannot propose to advance the rights of some groups whilst ignoring those of racial, ethnic and religious minorities. This could entail a serious gap in protection for staff belonging to racial, ethnic and religious minorities and may send the wrong signal to other employers in the EU. By not specifically tackling discrimination based on race, ethnic origin and religion, this strategy falls short of this mission and overlooks one of the most pressing concerns of diversity and inclusion in the European Commission today. This omission sends the message to current and future racial, ethnic and religious minority Commission employees that their concerns will not be a priority of this administration. The European Commission has been widely criticised for under-representation of racial, ethnic and religious minorities within its workforce. Many commentators have argued that the European Commission must better reflect the diversity of the European society. Particularly at senior levels, the issue of under-representation is acute. This points to a trend of structural discrimination within the European Commission and jeopardises the equal inclusion of racial, ethnic and religious minority staff. Such issues are not addressed in the Commission’s Diversity and Inclusion Strategy, despite briefings and repeated calls to do so by NGOs and MEPs. It is unacceptable to suggest that value and acceptance is irrespective of age, gender, sexual orientation and disability only. The European Union was founded on the values of respect for human dignity, freedom, democracy, equality, the rule of law and respect for human rights, including the rights of persons belonging to minorities. 1) The Strategy is amended immediately to include ‘racial, ethnic and religious minority staff’ as a target group and that specific measures are developed to ensure that the Commission is a fair and equal workplace for this group. 2) The specific measures acknowledge and take steps to address the overwhelming lack of representation of racial, ethnic and religious minorities (particularly at senior levels), discrimination within the workplace, and the need for policies for reasonable accommodation of cultural and religious needs for Commission staff. Particular attention should also be devoted to the workplace situation of women belonging to this group. 3) In the design of the forthcoming operational action plan the European Commission should seek advice from organisations with expertise on this issue, and consult racial, ethnic and religious minority staff – both men and women. The plan should implement specific measures for this target group. We look forward to your response, and to a constructive discussion on how to address these concerns. Click here for updates from the European Network Against Racism. For a resource written for Quakers about race and privilege click here. (An older version of the same document can be found here). 2017, Human Rights, News, Other Publications Equality, justice, racism, Sanctuary Everywhere, SanctuaryEverywhere. permalink.